An American in London: Whistler and the Thames,” opening May 3 at the Smithsonian’s Arthur M. Sackler Gallery, is the first major exhibition devoted to American artist James McNeill Whistler’s early period in London, and it is the largest U.S. display of his work in almost 20 years. The exhibition showcases changing views of the capital city’s iconic riverbanks and waterways, revealing how Whistler emerged as one of the most innovative and original artists of the 19th century while London evolved into a modern city. the schooners at rest captured in “Wapping” (below) and selections from the Thames Set, an early series of etchings depicting the river’s seedy dockyards and dubious characters. The Sackler’s presentation is the final venue of a three-city tour (previously at Dulwich Picture Gallery in London and the Addison Gallery of American Art in Massachusetts) and will be enhanced by the addition of nearly 50 masterpieces from the Freer Gallery of Art, which holds the world’s largest and finest collection of the artist’s work, including the famous Peacock Room. 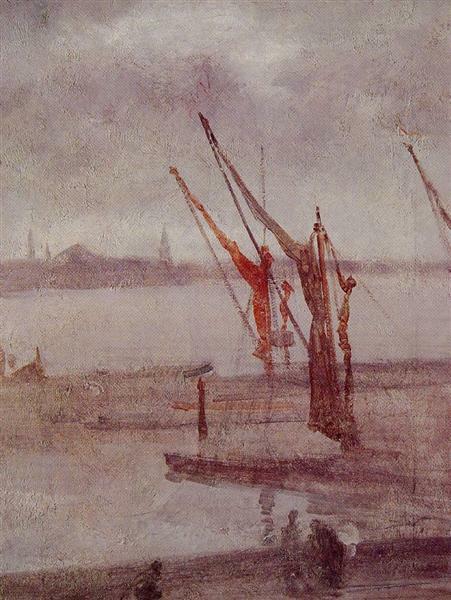 Museum founder Charles Lang Freer met Whistler in London in 1890 and became his most important patron. 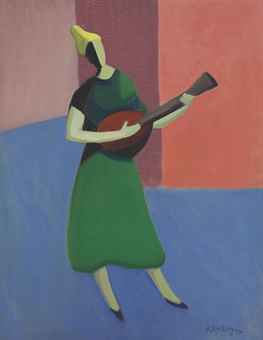 This is the first time since the Freer Gallery opened in 1923 that these works will be on view with Whistlers from other institutions. 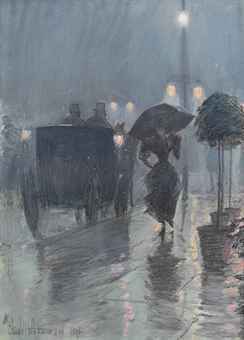 “An American in London” focuses on the period during the 1860s and ’70s when Whistler (1834–1903) adapted the realist style he developed in Paris into a more personal aesthetic: “art for art’s sake.” He transformed scenes of gritty contemporary life, especially along the Thames riverbank, into moody and poetic views of the city, layered with color and atmosphere. It was during this time that he started to give his works musical titles such as “arrangement,” “symphony” and “nocturne” and drew inspiration from the composition and flattened forms of Japanese prints, some of which will be on view. During this time, London was in a near-constant cycle of destruction and rebuilding. Historic landmarks—such as Battersea Bridge, a Whistler favorite—were altered or torn down to make way for mansions, factories and other modern structures. 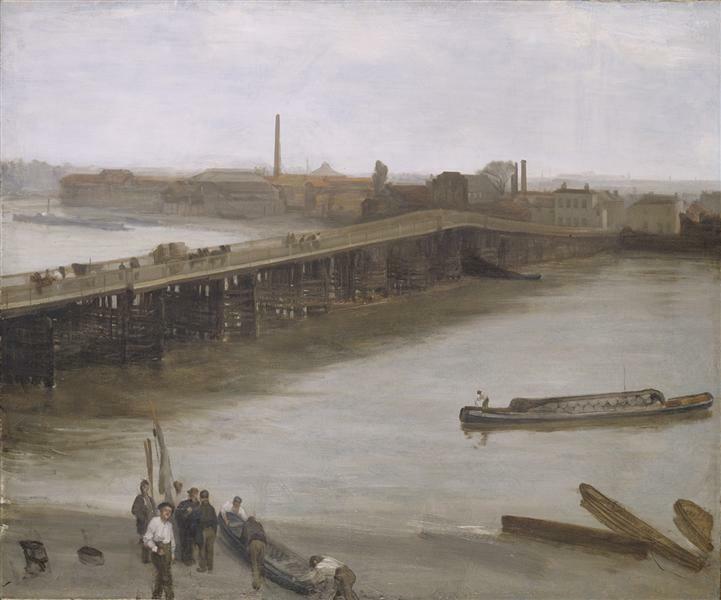 The river, however, maintained its central importance both as Whistler’s subject and as part of the lifeblood of the city itself. “An American in London” also features portraits of Whistler and his associates, bringing to life the personalities surrounding the artist during this crucial time in his career, as well as historic photographs and maps that detail the London neighborhoods where he lived and worked. “An American in London” is organized by the Freer Gallery of Art and Arthur M. Sackler Gallery, Dulwich Picture Gallery and Addison Gallery of Art, and is co-curated by Margaret F. MacDonald, professor emerita, and Patricia de Montfort, lecturer, at the University of Glasgow in Scotland. Exhibition support is provided by the Mr. and Mrs. Raymond J. Horowitz Foundation for the Arts and the Friends of the Freer and Sackler Galleries. 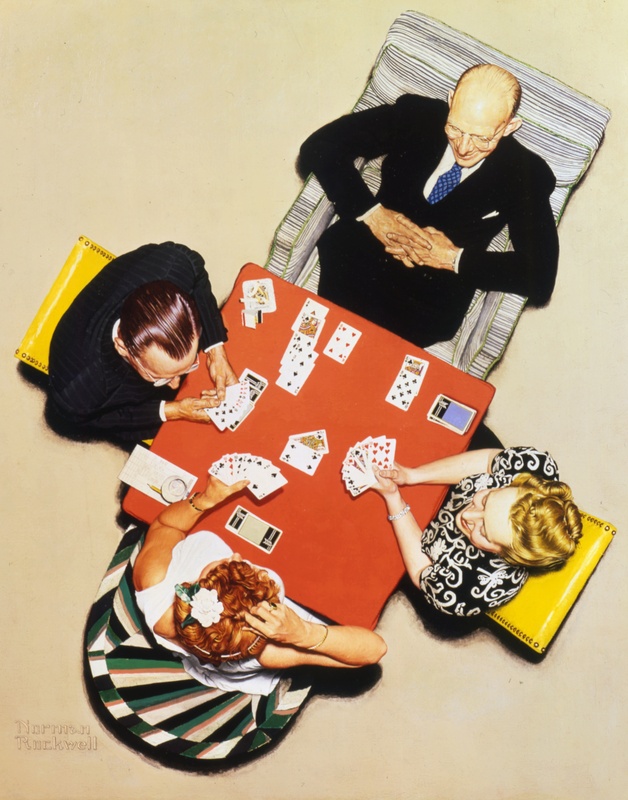 Additional support for programming is provided by the Terra Foundation for American Art. 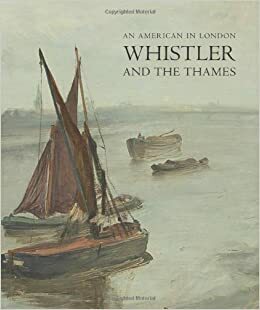 A beautifully illustrated catalog, “An American in London: Whistler and the Thames,” ($40, softcover, $60, hardcover; Philip Wilson Publishers, 2013, 191 pp.) contains detailed analysis of several of Whistler’s most important works. Dulwich Picture Gallery London, U.K. Freer and Sackler Galleries Smithsonian Institution, Washington, D.C. 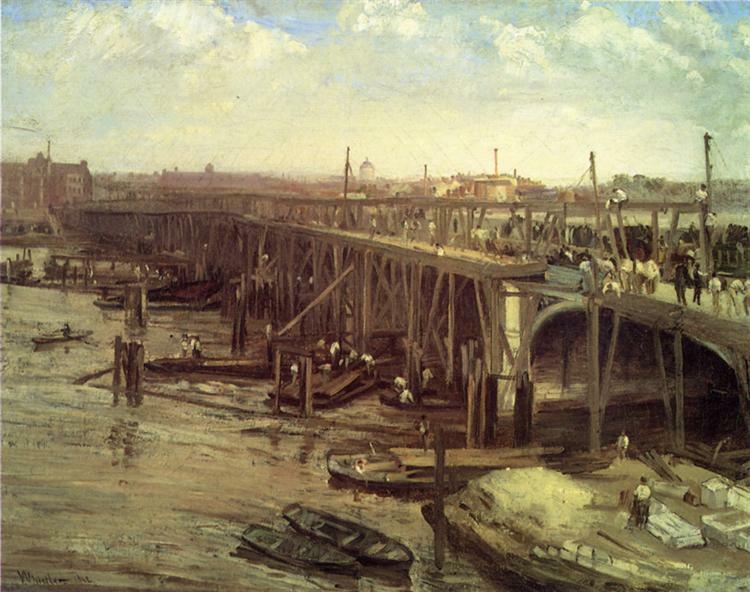 In “The Last of Old Westminster” (1862), an impressionist flurry recording the reconstruction of the old bridge, each labourer is a dab of cream, each wooden pile a single luscious downward grey stroke. 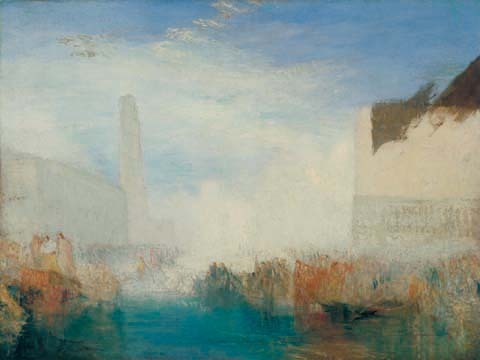 and “Grey and Silver: Chelsea Wharf” (1864-8), cool criss-crossed thin silver marks enlivened by the rusty brown of a few moored barges, narrative is banished and the Whistler of subdued, abstracted colour harmonies is triumphant. 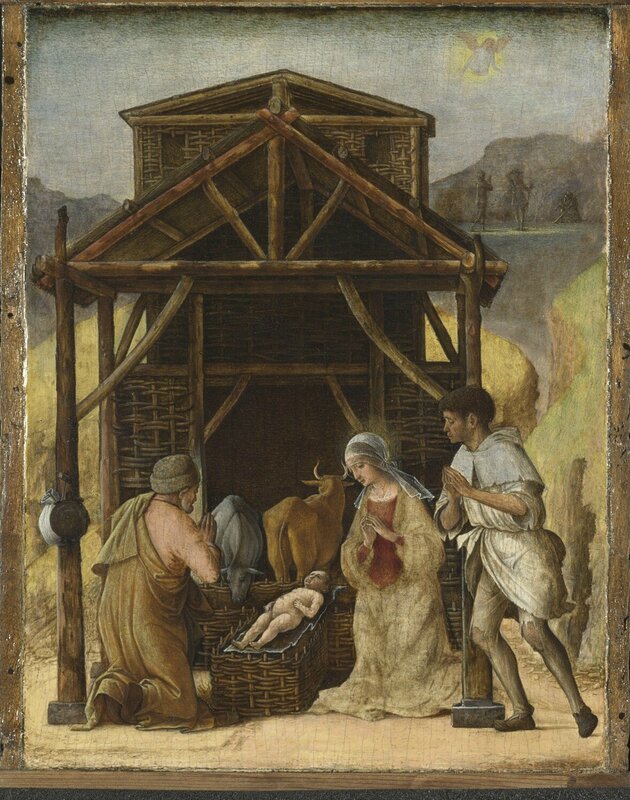 one of the Städel Museum collection’s highlights, as its starting point, the exhibition presented numerous works from all productive periods of this great master of the Renaissance in Italy about 500 years after his day of death (17 May 1510). The exhibition opened with portraits and allegorical paintings that illustrate the degree of sophistication with which Botticelli drew on this highly developed genre and enriched it with new impulses. While the second section centered on his famous mythological representations of goddesses and heroines of virtue, the third part iwa dedicated to his abundant religious oeuvre. With a total of more than forty works by Botticelli and his workshop, the show presented a comprehensive selection of his work surviving worldwide. 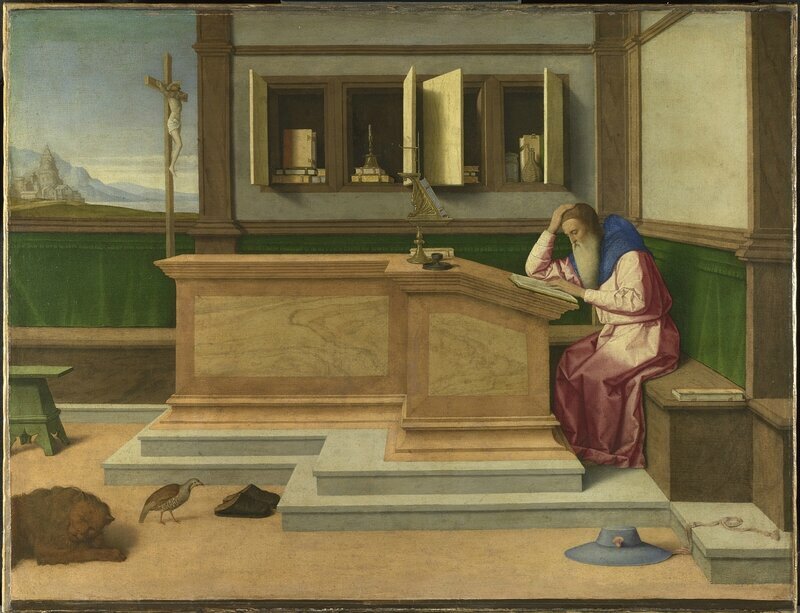 Forty further exhibits, among them works by such contemporaries as Andrea del Verrocchio, Filippino Lippi, and Antonio del Pollaiuolo, will allow to understand Botticelli’s precious creations in the historical context of their genesis. The presentation was supported by outstanding loans from the most important collections of paintings in Europe and the United States. 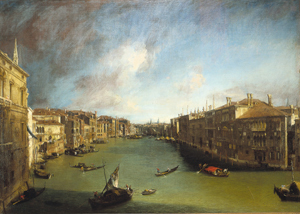 These include the Uffizi Gallery in Florence, the Louvre in Paris, the National Gallery London, the Gemäldegalerie in Berlin, and the Old Masters Picture Gallery in Dresden, as well as the Metropolitan Museum in New York and the National Gallery of Art in Washington. 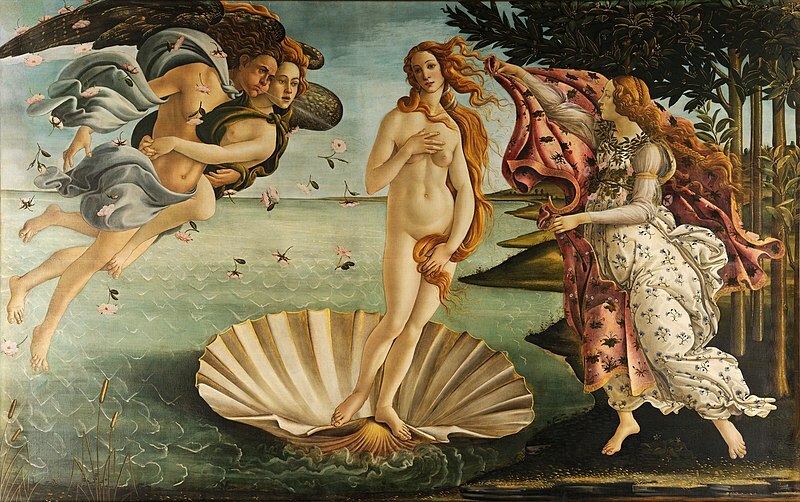 Sandro Botticelli’s painting has become a landmark of Italian Renaissance. The delicate beauty, elegant grace, and unique charm of his frequently melancholic figures make his work the epitome of Florentine painting in the Golden Age of Medici rule under Lorenzo the Magnificent. 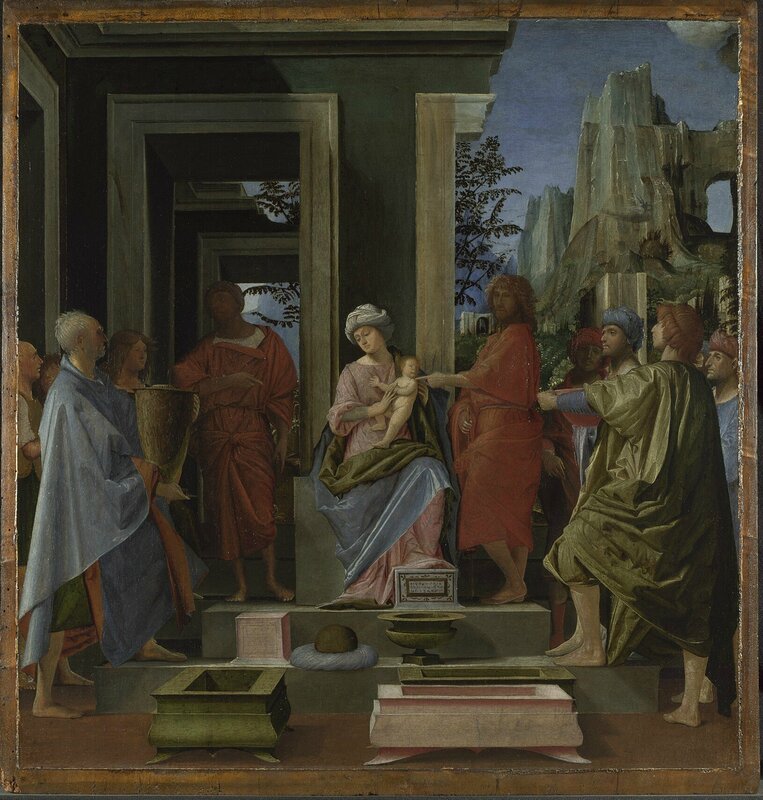 Initially trained as a goldsmith and then apprenticed to Fra Filippo Lippi, Sandro Botticelli soon ranked among the most successful painters in Florence in the second half of the quattrocento next to Verrocchio, Ghirlandaio, and the Pollaiuolo brothers. 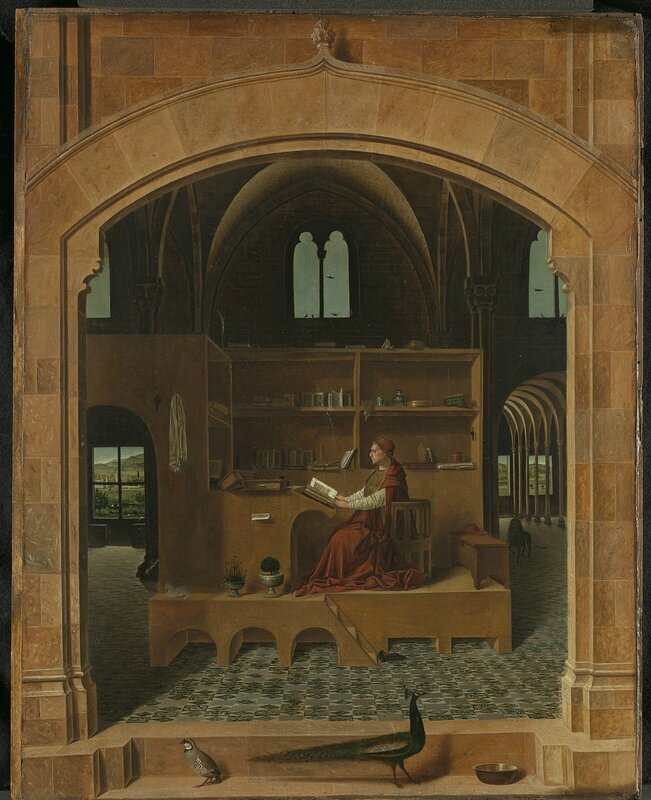 From 1470 on, he received prestigious public commissions and established himself as a painter of large altarpieces. 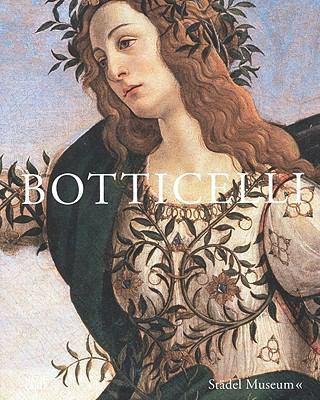 Throughout his life, Botticelli was in the ruling Medici family’s and their supporters’ good graces. Fulfilling their wishes for innovative decorative paintings, the master could not only rely on his personal knowledge of Florentine traditions and of ancient art, but also on definite suggestions and concepts from the circle of humanists gathered around Lorenzo de’ Medici. Held in equally high esteem as both a panel and a fresco painter, Botticelli enjoyed a high standing beyond his native Florence and was thus one of the artists summoned to decorate the walls of the Sistine Chapel in Rome by Pope Sixtus IV in 1481. It was particularly his much-discussed late work that brought out the characteristic features of his original style in an extreme manner. Guided by the art of drawing – the exhibition includedan outstanding selection of preparatory sketches – Botticelli followed his penchant for presenting his figures with sharp contours, strong movements, and abundant gestures, grounding his compositions on textures of lines and surfaces rather than on spaces and volumes. 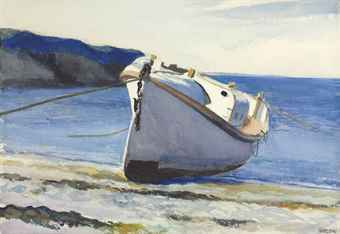 In this respect, his painting had already stood out against his competitors’ works and current theoretical demands in his early years. The starting point and center of the cross-genre exhibition was provided by a main work from the collection of the Städel Museum not only very well known in Frankfurt: the master’s idealized portrait of a young lady, who is probably to be identified with Simonetta Vespucci, the beloved jousting tournament lady of Lorenzo’s brother Giuliano de’ Medici. This portrait is less aimed at a true-to-life likeness of the subject than at the ideal of a woman characterized by perfect beauty and equally perfect virtuousness, an ideal also reflected in the poetry of that time. Such an ideal defines itself not least through its rapport with antiquity: thus, the beautiful female wears a piece of jewelry round her neck which is obviously based on an ancient cameo showing Apollo and Marsyas, which wasalso be on display in the exhibition. offered itself for comparison with his beloved Simonetta’s likeness. Both paintings make up the center of the first part of the presentation, which is devoted to Botticelli’s art of portraiture and, drawing on prominent examples, illustrates the interplay between social norm and artistic form as well as the different genre conventions of the male and the female portrait. 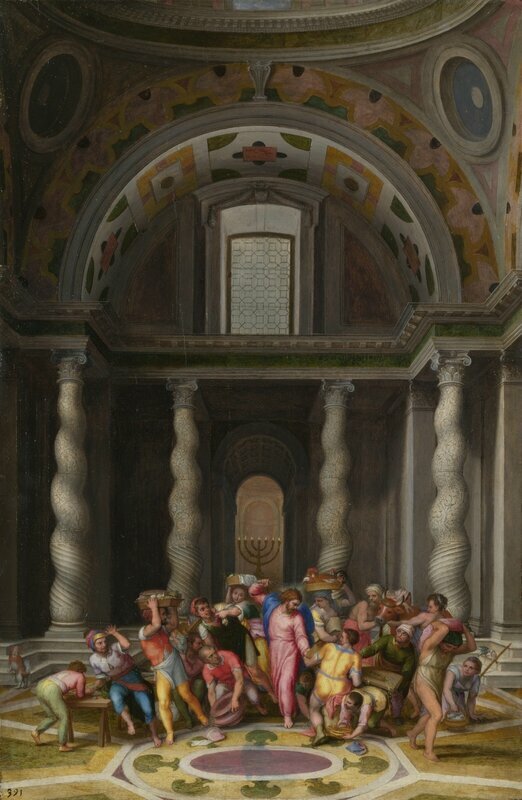 one of Botticelli’s monumental mythological paintings, to be seen in the context of Medicean self-presentation. it once adorned the walls of a bedchamber in a Florentine palace owned by the family of bankers. We see Pallas taming the wild centaur indulging in his passions through her wisdom and virtue. 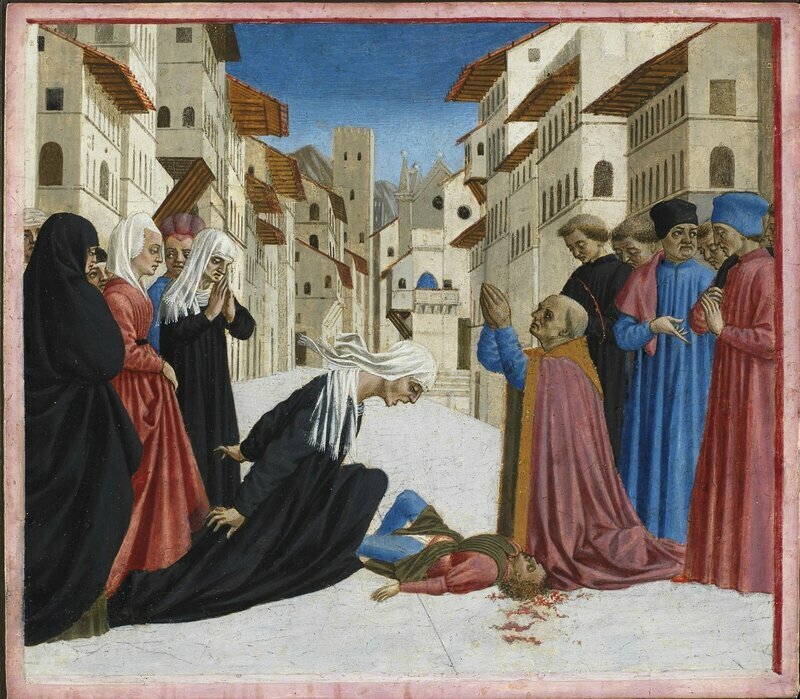 The control and cultivation of emotions was a central issue in ancient philosophy and – combined with Christian thought – of the Renaissance, too; among the painters of the time, Botticelli offered himself as a congenial interpreter for such subjects. The political dimension and the reference to the patron family are symbolically present in the form of two intertwined diamond rings on Pallas’s gown, which were an emblem of the Medici family. 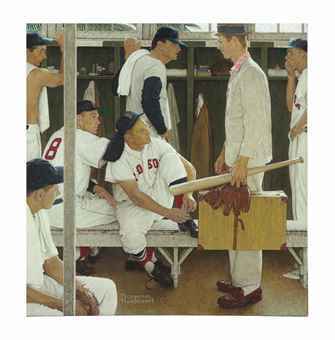 which he isolated from the context of the scene and set off against a black background. This work is one of the first monumental nudes of postancient painting. The Virgin Adoring the Sleeping Christ Child. The Madonna’s physiognomy of this painting from the National Gallery of Scotland in Edinburgh, whose brilliant colorfulness has only been uncovered through restorative measures some years ago, is rendered in the vein of the same female model which the painter developed for his idealized portraits and pictures of ancient goddesses. 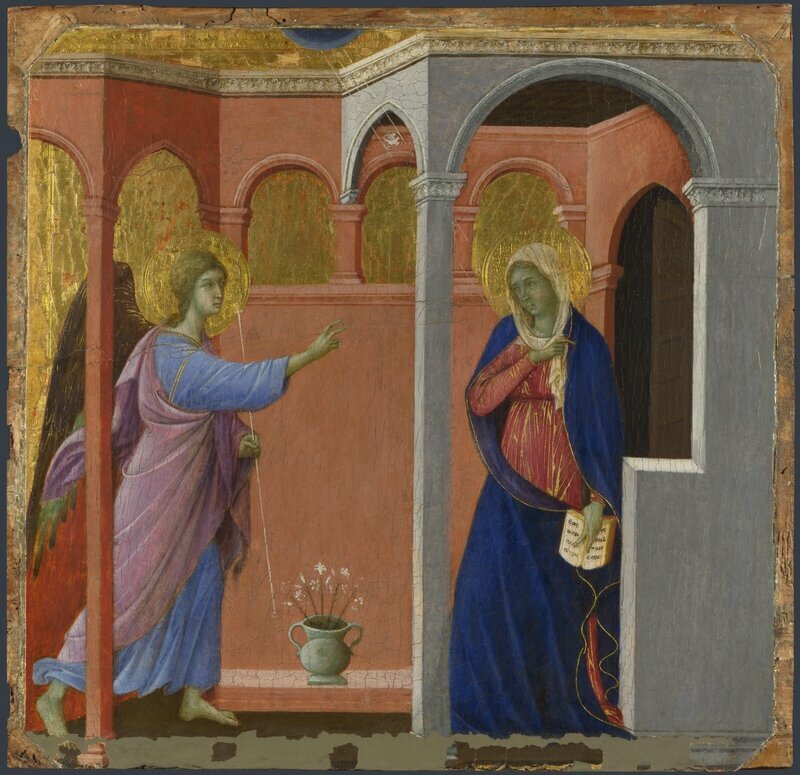 This chapter also includes a number of narrative pictures, such as a removed Annunciation fresco once to be found in the vestibule of the hospital of San Martino alla Scala in Florence and preserved in the Uffizi Gallery today. Not only the enormous size of the fresco (243 x 550 cm), but also its qualities as a painting testify to Botticelli’s extraordinary importance in this medium. Four panels depicting scenes from the life of St. Zenobius, an early bishop and patron of Florence, offer a further highlight, with which the exhibition ends. Usually scattered to museums in London, Dresden, and New York, they have been brought together for the first time in Frankfurt again. 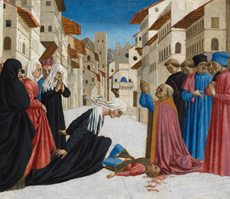 Ranking not only among his most significant late works, but also among his very last, the panels are to be considered as Botticelli’s legacy as an artist. On the occasion of the exhibition, a comprehensive catalogue edited by Andreas Schumacher and comprising an introduction by Max Hollein and texts by Cristina Acidini, Gabriel Dette, Bastian Eclercy, Hans Körner, Lorenza Melli, Ulrich Rehm, Volker Reinhardt, Anna Rühl, and Andreas Schumacher was published by Hatje Cantz. German and English editions.